We’re SO EXCITED about this series at one of our favorite local spots, Spinster Sisters, which happens to be walking distance from the shop. For one night only, Gwen and Sallie will be taking over the by-the-glass program. We’ll be pouring a curated selection of wines that include some of our favorite female winemakers / who focus on natural wine production. No tickets. No prix-fix. Reservations recommended. To date, Maynard has made over 750 individual Boxes; each is one-of-a-kind and we are thrilled to share his work with you all. A bit more about Maynard: Artist, industrial designer, entrepreneur. Maynard has an extensive art, design and retail background. He draws and paints and constructs—AND designs products and architectural interiors and sometimes teaches and lectures, and enjoys what he refers to as “Playful Ways of Seeing”. Learn the ins and outs of handmade pasta alongside New York transplant Ali LaRaia on Friday, March 22nd here at Miracle Plum! This hands on cooking class is a collaboration with Miracle Plum, Ali LaRaia, Cowgirl Creamery and Ria D'Aversa of Pennrose Wine. Not only will you dive into making pasta dough and shapes, but you'll get to do so while enjoying a selection of antipasti and drinking local, low intervention wine. Walk away with the pasta you create along with pasta knowledge, recipes, and a few of the tools you need to make more at home. ALI grew up in restaurants and has held almost every position you can have in the business, instilling a love and understanding of the food industry from an early age. While in college at the University of San Francisco, Ali worked in F&B editorial before diving into the world of startups working as a consultant for product development. A simultaneous food blog kept Ali’s love for food alive, until she joined the Test Kitchen team at CHOW. It was this experience that not only helped Ali to refine her culinary technique, but allowed her to fully understand how a recipe came together. In 2011, Ali returned to New York to start Marianberry Cookies, an E-commerce brand selling a full line of all-natural cookies. Within 6 months, Marianberry was nationally distributed to one of the world’s largest high-end retailers. Ali took her love of Italian cuisine to the source and began to travel through Italy to experience its regions, understand its ingredients and enhance her love and understanding of Italian food and wine through taste. Ali’s travels to Italy were where her love for Italian culture deepened and her obsession with fresh pasta began – that was the beginning of New York City’s first fresh pasta fast casual concept. Through that platform, Ali has been featured at the James Beard House and collaborated with female culinary powerhouses, Katie Parla, Alison Roman and Gail Simmons. Her travels through Italy have been documented by Food & Wine Magazine and her recipes can be seen in People Magazine, Shape and Vogue.com. PENNROSE WINE originated while in search of diverse and interesting vineyards of California. The wines express these vineyards from throughout the state and are intended to be approachable, fresh wines for your table. The owners, Ria and Mike, are based in Santa Rosa, though they find their grapes from as far south as San Benito and into the mountains of Amador county. With working backgrounds in Italy and France, the wines are made with artisanal techniques and minimal intervention. Pennrose is meant to reflect the ease of everyday wines for the table. COWGIRL CREAMERY Just north of San Francisco, in the rolling hills of Marin, Cowgirl Creamery makes some of the finest cheeses in the United States. In 1997, former chefs Sue Conley and Peggy Smith channeled their culinary and environmental ideals into artisan cheesemaking by opening Cowgirl Creamery. Today, the company produces a variety of fresh, bloomy, and aged cheeses by using milk from neighboring dairies and championing their local milkshed. Two decades, dozens awards (including induction into the Guilde des Fromagers), two creameries and two retails stores later, Cowgirl Creamery continues to help pioneer the American artisan cheese movement. Are you ready for spring gardening like we’re ready? In honor of Lauri Kranz of Edible Gardens LA and Dean Kuipers book release event for A Garden Can Be Anywhere (noon on Saturday the 9th) the owners of Flatland Flower Farm (sister company of Little Apple Treats) are turning the Miracle Plum courtyard into a beautiful plant nursery. Gear up for spring and summer edible gardening by shopping their exquisite collection of plants and flowers. All organic. All beautifully gown in the western hills of Sebastopol. This is a rare occasion to purchase their stock here in Santa Rosa so don’t miss this great opportunity to pick up some usual and unusual starts and go get your hands dirty. Join us in welcoming Lauri Kranz of Edible Gardens LA and Dean Kuipers to share their new book, A Garden Can Be Anywhere. A Garden Can Be Anywhere is the Edible Gardens LA guide to creating a beautiful and bountiful home garden. It’s like your favorite cookbook, but instead of taking it into the kitchen you bring it with you into the garden. Edible Gardens LA founder Lauri Kranz will share her secrets for planning, planting, growing, and maintaining luscious edible gardens, no matter the setting or size of the plot. The book talk will be followed by book signing and tea. In honor of gardening, Miracle Plum's courtyard will be converted for the weekend into a plant nursery pop up featuring Flatland Flower Farm (sister company to Little Apple Treats) organic vegetable starts and beautiful English perennials. 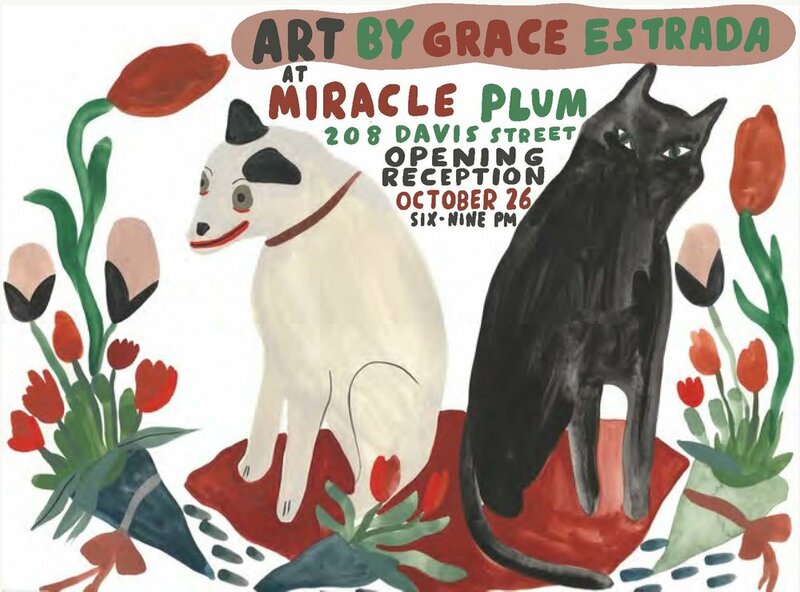 Artxcursion is joining forces with Miracle Plum, a new neighborhood market and specialty food shop, to bring you a creative and inclusive Paint Nite! With Lemon season upon us, what better way to celebrate their pucker perfection than with a Lemon Lovers Paint Party! Imagine a trip to the Mediterranean without having to leave the neighborhood, cobalt blue skies, Cobblestone lined streets and a hint of sweet Citrus in the air. We'll discuss the origin of citrus and its integral part in Mediterranean culture and how it has inspired and influenced us from textiles, art and food today. We'll Paint, create and hopefully cultivate new friendships and connections. So join us, and get those creative citrus juices flowing! Workshop includes bitters tasting, tons of wisdom, all materials to make your own bitters, and a formula of your own making. Lily Mazzarella is a herbalist, nutritionist, and owner of Farmacopia, a modern day apothecary in downtown Santa Rosa. She knows her stuff and makes plant medicine so much fun. First it was a book that the owner’s of Miracle Plum just couldn’t get enough of so it made sense to pick the title for the second round of the MP Cookbook Club. When you buy Salt Fat Acid Heat from us before April 1st you get 10% off. 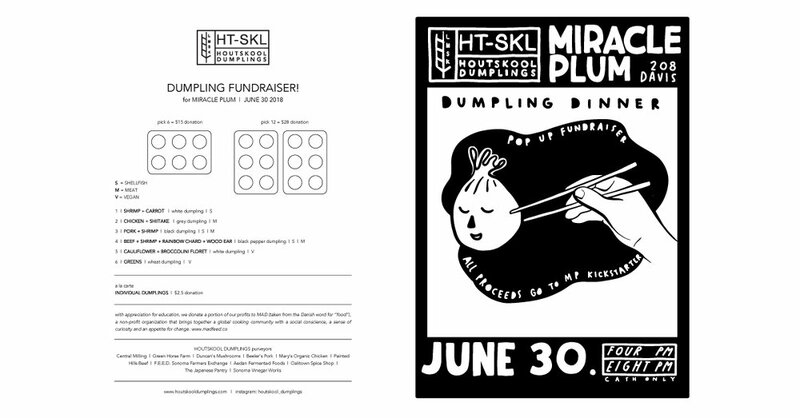 We will cook from the book until April 7th, then we will gather at Miracle Plum for a potluck and book discussion in the evening. We kind of just want to hangout, drink hot apple cider, eat cookies, and we’d love for you to join us. It’s really meant a lot this holiday season how many of you have mentioned your desire to shop local, support women in business, buy artisan wares, etc. So, in a small way, we’d like to thank you. Swing by, we’ll be here! Learn how and why to make Fire Cider! Lily Mazzarella, herbalist, nutritionist and owner of Farmacopia, a modern day apothecary in downtown Santa Rosa, will join us at Miracle Plum, and will teach us about the healing benefits of all the ingredients used to make this ancient elixir. 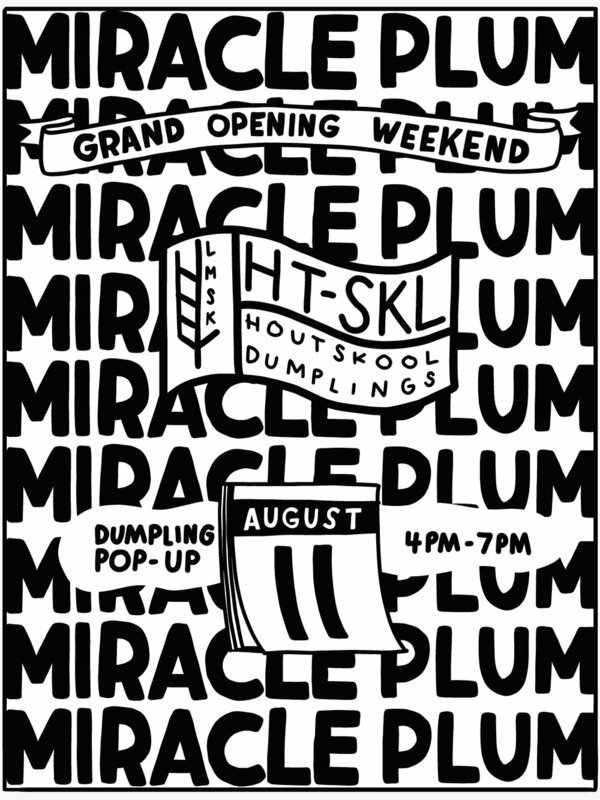 Miracle Plum will provide all the fixins and the space to make and learn. Bring a notebook if you like. This workshop is open to 20 folks, space is limited. Tickets are $25- $40 sliding scale- pay what’s most comfortable for you. Go to: https://www.eventbrite.com/e/fire-cider-workshop-tickets-52985607378 to purchase tickets. When you buy Dinning In from us before January 1st you get 10% off. We will cook from Dining In until Mid January, then we will gather at Miracle Plum for a potluck and book discussion.